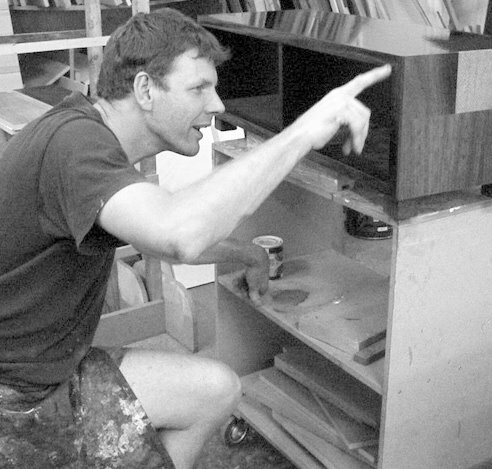 Since 1993 Jeremy Wilkins and Stephen Kent have produced functional and aesthetically appealing furniture at their Fitzroy workshop which is still located behind their Brunswick street store. The furniture Jeremy and Stephen make has the Wilkins and Kent look, clean, simple lines, the use of contrasting timbers, simple but effective decoration, and an emphasis on functional design. 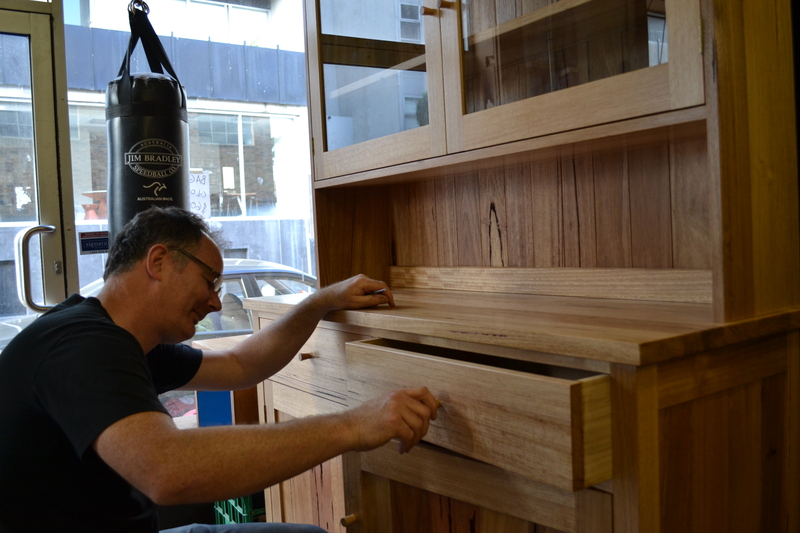 "We draw a lot of inspiration from early settler furniture where function was the main requirement, but it was important to individualise pieces to remind one of home or more comfortable surrounds" says Jeremy. Jeremy and Stephen don't limit their inspiration to a single style or period and like all designers incorporate and adapt elements or materials as the fancy takes them. Their ideas have often evolved over a period of time and this helps ensure that their furniture works both functionally and aesthetically. They try to balance custom making with making new pieces for the shop. This helps them move their range along. Jeremy and Stephen still deal directly with many of their customers, always ensuring that the pieces will work in their clients homes and perform the function their clients require. They use Forestry Stewardship Council approved and recycled timbers as well as veneers. The recycled timbers have been reclaimed from old buildings as they are demolished. "There was a lot of timber that went into those old warehouses," says Stephen, "and it was often the best old messmate, mountain ash, jarrah, and many other Victorian Eucalypt species." It is now becoming available again for furniture making and polishes up beautifully. Needless to say it is dry after about one hundred years and creates beautiful stable furniture that will last for many hundreds of years to come. "To think that this timber is sometimes burnt or sent to the tip makes us very sad" says Stephen. Whenever Jeremy and Stephen pass a rubbish skip they still can't resist a quick examination. "You would be surprised what people think is rubbish" says Stephen. "Just the other day I passed a skip full of red gum house stumps". These have now become the legs of a magnificent red gum table. "People are constantly surprised that under that dirty grey exterior there is new brightly coloured timber" says Jeremy. The shop grew to include the retail frontage at 230 Brunswick street and some homeware lines were introduced to complement the furniture. The emphasis for product selection has been on local products, and the stories behind them. In about 2005 Wilkins and Kent were featured in the Slattery publication “Handmade in Melbourne”. Many of the artisans represented in the book were suggested and stocked by Wilkins and Kent. Wilkins and Kent have tried to maintain this ethos and, where possible, try to ensure that products not produced locally at least have an interesting and genuine back story. Over the years they have been supportive to many local makers stocking their wares. In fact many of their staff sell their wares in the shops. A city store at 373 Lt Bourke St was opened in 2008 and Wilkins and Kent has now blossomed into two interesting shops that combine furniture and homewares. 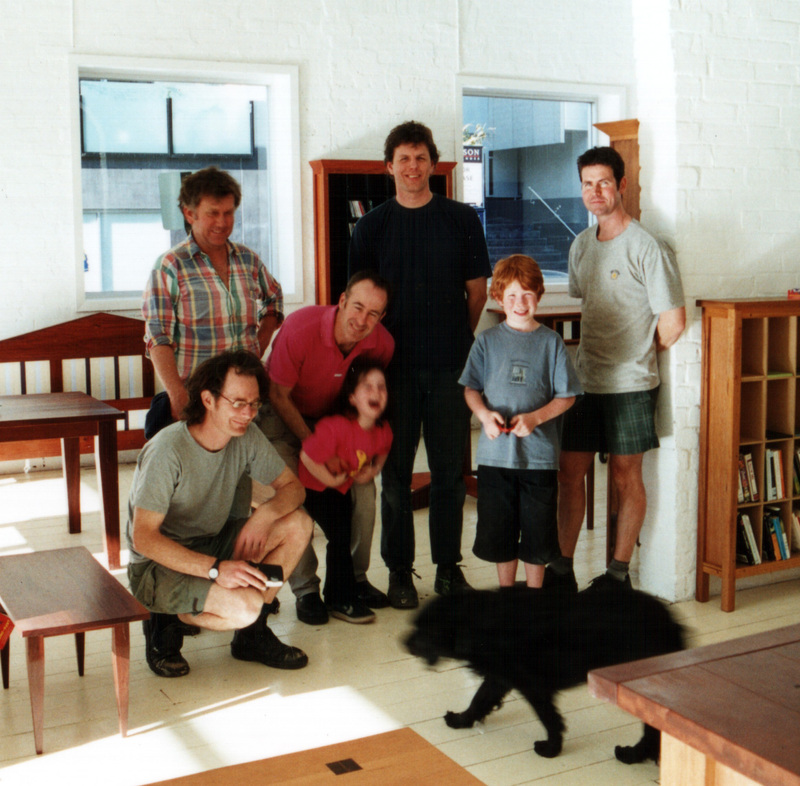 After 20 years of business Stephen and Jeremy can still be found making furniture in the workshop behind the Fitzroy store. These days though they divide their time between managing aspects of the two retail shops, and hands on manufacturing.